Ziggy is building a zoo, a backyard zoo featuring 10 intriguing insect and bug exhibits (and one glove-toting teddy and lovable dino). 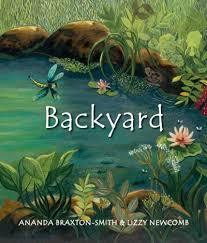 Simmons’ debut picture book is rich and enchanting. Whimsical and bursting with colour, Simmons’ lyrical verse is all the encouragement youngsters need to delve headfirst into their own backyards. This story encourages foraging, observation and counting with subtly hidden numbers and creatures tucked away in every illustration. It boldly ignores the usual qualms and fears associated with creepy crawlies, showing Ziggy confidently and compassionately adding to her display one beautiful little creature at a time. A myriad of insects nestle amidst the nasturtiums on the end pages and throughout Pratt’s gorgeous, conspicuously colourful illustrations. 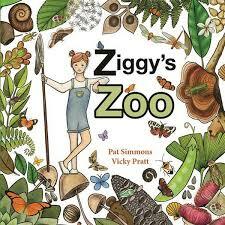 Playful and practical, Ziggy’s Zoo is a pure delight to visit. Only one thing could have made this collection better, a glossary detailing the plethora of insect life shown on each page. What an eye-full! Highly suitable for budding zoologists aged from 4 years up. Even kids who have never kept chooks in their own backyard may have caressed a newborn chick at the local fair or even in their own classrooms. This book complements life studies at school in an extremely appreciable way. Focusing on Violet, a gorgeous lavender coloured Orpington hen who resides on the author’s farm in Maine, this book takes us from the moment Violet becomes broody to the day her chicks hatch. 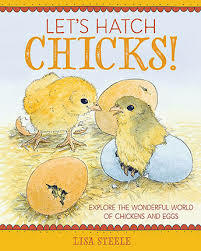 Illustrated with considerate detail and humour, Let’s Hatch Chicks! is packed with informative fun facts and explanations about chook behaviour, delivered in an endearing story format that allows young readers to easily absorb this fascinating chronicle of life and development. This is a very sweet and very thorough account of the life cycle of a chicken utilising recognisable farmyard connection to ramp up the cute appeal. An absolute must have classroom nonfiction picture book to whip out when those real life chicks turn up in the classroom as life study projects. Or for anyone interested in raising animals. This is a fascinating photographic collection of birds common to NE Arnhem Land. Stubbs was just 12 years-old when she first started capturing the bird life in her homelands. Consequently, her work displays all the passion, precision and skill of a young Steve Parish. Bristling with birds of every description from Brahminy Kites to Reef Herons, this stunning compendium includes smatterings of Stubbs’ Yolnu culture along with some amazing facts on the peculiar habits of each species. 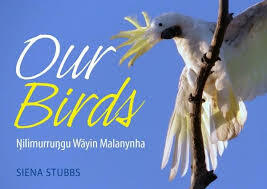 Stubbs’ delivery is crisp and tight and as delightfully honest and refreshing as her shared perspective of one of Australia’s richest ecological areas. Full marks. This exquisitely illustrated non-fiction picture book underpins the basics of natural selection in an engaging and deeply affecting way. The story of the peppered moth is one of survival, laced with a delicate yin and yang appreciation for adaptation and tenacity. Egneus is an accomplished artist. This picture book highlights his brilliance in spectacular fashion transforming this fascinating story into a collectable masterpiece. The impossibly divine foil cover draws you in like the veritable moth to a flame! 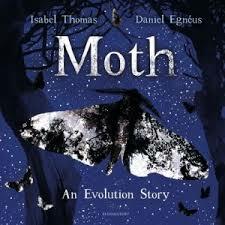 Definitely one for classroom bookshelves to prompt discussion and a deeper understanding of the concept of evolution. 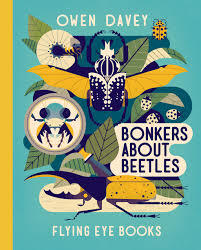 I wish there were more picture books around like this one when I was a young curious entomologist. Loved it! This lavishly illustrated and clearly laid out picture book first grabs you visually then lures you in to an huge assortment of illuminating facts relating to the group of animal species that represents over a quarter of all discovered life on this planet. The content and design of this book enthrals and enlightens, charms and captivates and I’m sure will attract hours of dedicated concentration from young readers. All aspects of a beetle’s existence from its design and development to its diet and forms of defence including the mythology surrounding various critters are covered in the no-nonsense narrative and complementary illustrations and diagrams. This is non-fiction picture book writing at its finest and would make an unique, memorable gift. 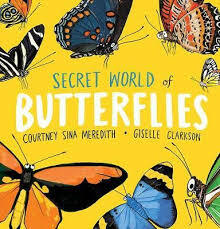 If you have a younger pre-schooler or lower primary schooler who is addicted to butterflies, this one suits brilliantly. Occasionally the rhyming prose gets in the way of what is otherwise a truly joyful exploration into the world behind those fluttering wings and lacy demeanours. We learn how butterflies taste (not to eat! ), where they sleep, if they even sleep and how they can fly so high. Eye-popping illustrations will entrance young lepidopterists everywhere. The handy pictorial glossary at the back promises to engage even more. Informative and easy to appreciate. Although concentrating heavily on animals from the Northern Hemisphere , the premise of this visually explosive picture book is to stimulate a youngster’s appreciation of all creatures (albeit no Aussie ones) great and small. 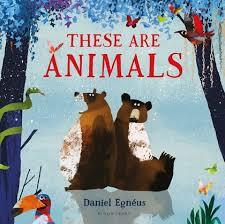 Egneus takes us through an illustrated feast of animals that inhabit woodlands, oceans, polar regions, savannahs and rainforests. His faultless illustrations bring their various movements, sounds and behaviours to spectacular life and will provide hours of enjoyment for readers from as young as three thanks to plenty of onomatopoeia partnering.